This skin/theme is not a port, part of it is inspired from the very beautiful MacOS X. This special skin gives your desktop the ultimate experience! It has been designed for maximum quality and usability. 3 Wallpapers, the calendar, the Dock skin and the icons are included. This theme is compatible with Windows XP, Vista, 7, 8, 8.1 and Windows 10. This is a very cool WB skin. Perfect use of transparency. Thank you very much Spencer! i would've preferred a seperate subskin for windows 7, to be honest. using one for 7/vista doesn't allow the start menu to expand when it should nor have taskbar button effects. that's ok, though. i'll open sks and add one for 7. other than that, adni, it's great. thanks for crafting it. I agree with MadDeez... this really needed a 7 only subskin. the non-expanding start menu is kind of a drag. But the skin is gorgeous! Great work! Very, very nice skin, finally somebody maked really good Mac look like skin after Sabertooth. Adni18, thank you very much for this beautiful work. Great job on this Adni It's very clean and I like the transparency, but I have to agree also with MadDeez and RPGFX. I was a little disappointed to tell the truth. Looks great, Nikos.You beat me to the punch. 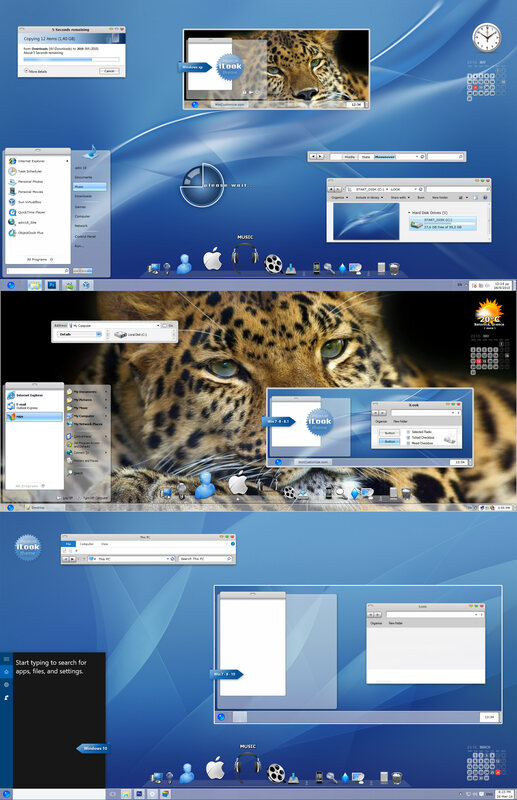 I was working on an inspired skin from Mac OS X Snow Leopard. Not now of course. Back to the drawing board....Keep up the great work! Don't ditch it! We want it anyway! Thank you again all of you for your nice comments! "I have finish this skin back in May 2010"